Rather than opening and using the Search Engines, there are something more..
Google is the largest and popular search engine. Yahoo or Bing is not the second one, Chinese search engine Baidu is the second one. Some of people believe that both search engine and browsers are same. Search engine is the main source of almost website traffic. The success secret of Google is their search engine. Many private and non popular search engines use the Google search algorithms and they customize the search result. Some of top links on search results may not be the exact results. All your search queries are saved at their server and you can check them at any time. Those are available on Google privacy section. In google search engine, button ‘I’m Feeling Lucky’ opens the first search result website directly. You don’t need to open search engine for searching a query, typing on browser website bar and hitting Enter key will give you the search result on your default search engine. 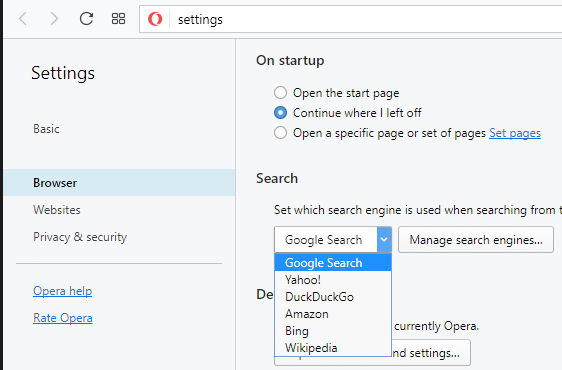 In browser setting/preferences, you can set your default search engine. You can directly download some kind of files directly from search result without opening a page. This kind of download is possible for downloading doc, pdf, swf, ppt document types files. Where ‘Best mathematical problems’ is the search query and pdf is the file type. The key word filetype: is fixed and there is no space in between file, type,:, and pdf. Similarly, you can download other documents, you can read more about downloading documents direlty from search result on my previous article. Searching queries on webpage title and url. -- Generates result with keyword ‘Learn C’ on website title of yourowncodes.com. --Generates result with keyword ‘Find area in C’ on website URL of infolet.org. --Gives all the pages which contain Infolet.org on link. When you click on a search result list link, the page will be open in same tab on the browser. But mouse scroll button can open the link on a new browser tab. Also you can set to open all your search result links on new tab always using a Google setting.